Recover from your workout in a matter of hours, not days. Reward yourself with a protein shake that delivers results and tastes delicious! Recovery is key to getting back at it again. And again. And again. PROGENEX Recovery gives your body exactly what it needs to repair, rest, and reap the rewards of your activity - in minutes, not hours. And as an added bonus, it tastes amazing! We believe that puking after a workout shouldn't be from your protein shake. Recovery should be enjoyable. 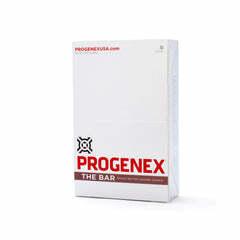 Reward yourself with a product that delivers results and tastes delicious! Your body needs protein to repair itself and recover from training; this is perhaps the most fundamental concept in recovery. Fast absorption is essential to the recovery process, and these minute protein fractions have been proven to do just that. We create products that taste great. Period. After a rigorous workout, your muscles need servings of amino acids, BCAAs (Leucine, Isoleucine, and Valine) and glutamine fast. But not all BCAAs and protein products are created equal. In fact, some protein powders won’t even deliver BCAAs to your muscles quick enough. 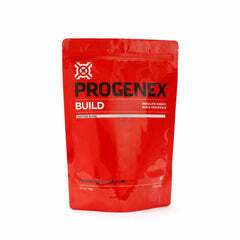 But PROGENEX Recovery delivers just what your body needs to reload—in a matter of minutes, not hours, giving your fatigued and starving muscles the most pure, potent form of protein that is necessary for recovery, repair, and growth. A university clinical trial demonstrated that athletes who consume servings of whey protein hydrolysate post-workout not only recover faster, they recover stronger than athletes who consume water or a generic whey protein isolate. We use the highest quality whey protein isolate available, which has been hydrolyzed through a proprietary enzymatic process. This procedure “cuts” the protein into tiny peptide sequences that can be quickly absorbed into the bloodstream, making our protein powders one of the easiest to digest and one of the fastest to the bloodstream, with low lactose content. Fast absorption is essential to the recovery process, and these minute protein fractions have been proven to do just that. By taking Progenex Recovery, you can build muscle and experience a quicker recovery while fueling your body for peak performance. Added bonus: it tastes amazing! 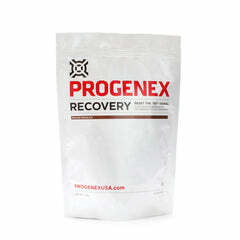 Overcome fatigue and restore performance with just one serving of PROGENEX Recovery. After an intense workout, your body needs to recover and rebuild its muscles, and nutritionists and sports medicine experts have learned that we can’t always leave recovery up to our body’s natural processes. We need specific nutritional supplements including rapidly absorbing BCAAs and glutamine to be taken immediately post-workout for the recovery process to begin. PROGENEX Recovery protein is a fast absorbing whey protein hydrolysate, which allows your muscles to reload and recover post-workout to their baseline strength within hours, not days. It also helps you train harder and more frequently, which translates into better performance, more strength, more lean muscle and less fat. Not all protein powders are created equal. PROGENEX Recovery protein delivers on its name due to its high concentration of fast-absorbing and bioavailable amino acids. 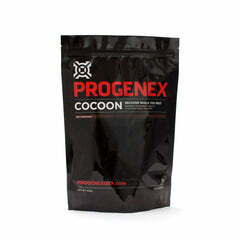 Containing BCAAs and glutamine, PROGENEX Recovery gives your body the nutrients it needs to recover faster. PROGENEX starts with a high-quality whey protein isolate that is hydrolyzed into tiny peptide sequences (di and tri peptides) by exposing it to enzymes that break down the bonds between the amino acids. 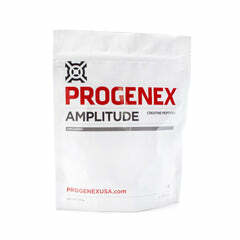 This process creates the most easy to absorb and utilize peptide sequences that completely bypass your digestive system and head straight to your needy muscles in a matter of minutes. Other proteins can take 1-2 hours—just long enough to miss your peak anabolic window. And we aren’t just saying this to sound cool, there are studies that show that taking hydrolyzed whey protein post workout is one of the best ways to build muscle and recover quicker. And recovery is beyond important in those high-intensity workouts we all love. By taking one of our Progenex protein powders, you can build muscle and experience a quicker recovery while fueling your body for peak performance. Added bonus: it tastes amazing! 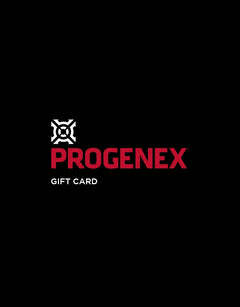 Pick from five awesome flavors and overcome fatigue and restore performance with just one serving of PROGENEX Recovery. Have you wondered how to make whey protein? The best protein powder I have ever tried. It tastes great with water (which is hard to do) or milk, and mixes so well. My recovery seems to have become so much easier and I feel great when I take it. First time using the Recovery product. I bought the Belgian-Chocolate, because it seemed safest. Belgium doesn't seem like a violent place anymore and who doesn't like chocolate? But I digress. The mix is great especially since it doesn't leave me with the nasty bloated feeling after drinking it. That's not the type of swole I'm looking for. If you're like me, middle-aged, clinging to your fitness slightly better than your hair, you'll love this as a post-workout drink! 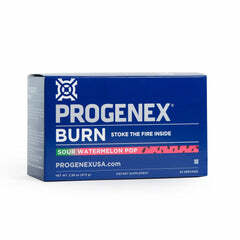 I’ve been using progenex products for a while and love its performance. I would have given it a higher rating if it weren’t for the poor sealing packaging. For the cost of their products I think they should have better packaging! I’ve used this specific product for about a year now. The taste is still my favorite. Delicious goodness that's good for you! It's tastes so good it shouldn't be that good for you.